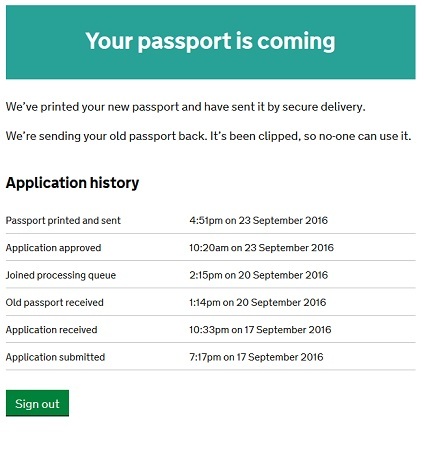 There has been an online passport application and renewal service for some time on the Government's passport website . But now that you can upload your own digital photo, renewing online has become even easier. A new passport costs £75.50 and takes up to 3 weeks through this service. If you require a passport any quicker then there are still the options of the one week or one day services. More good news is that the photo can be taken on any device and be taken by anyone except yourself - selfies are not allowed. Being able to take your own photo saves you not only time and effort but also the cost of having your photo taken professionally or in a photo booth. The photo needs to be taken at a distance of approximately 1.5m (5ft) and include enough space around the head and shoulders. There is no need to crop it as that will be done for you. Use a plain expression - mouth closed and no smiling! If you are planning your next holiday, do check your passport in good time to ensure it will still be valid when you go. Some countries will require your passport to have at least 6 months before they are due to expire at the time of travel. You could be saving money on your car hire excess insurance! If you are off on holiday soon and renting a car, run a quote through the MoneyMaxim comparison service and find policies that will also cover you for the wheels, tyres, roof, underbody, glass and mirrors of your hire car. Update - One of our team used the online service and described it as 'quick and efficient' and 'saves all the hassle of getting photos taken and queuing up at the post office'. His new passport was with him within 6 days and he was able to follow its progress using their tracking system.